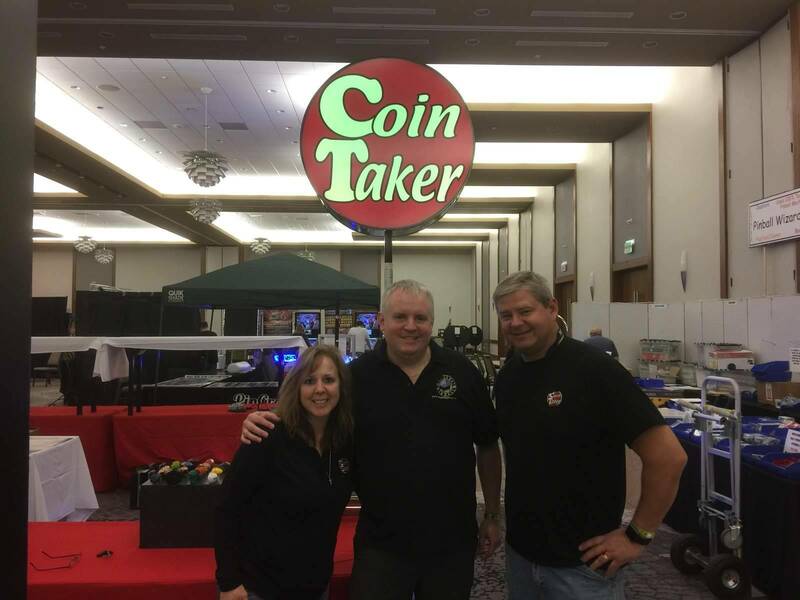 » Forum » Game manufacturers » Heighway Pinball » Full Throttle Party @ Pinball Expo - How was it? » Full Throttle Party @ Pinball Expo - How was it? Full Throttle Party @ Pinball Expo - How was it? Just wondering for those of us not able to attend how the party went, any stuff not shared at the talk, many people there??? The party was good. Gave away Free October fest beer. The girls at twin peaks were smoking hot. They also gave free t-shirts away. Good food good people. The game is SUPER fast. 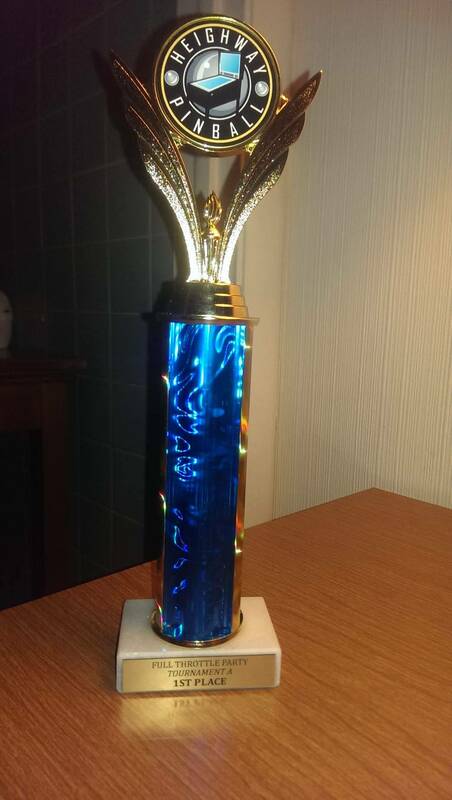 I won the tournament on my first game ever at 97 million. Really fun game. I'd say the best new game here. I can tell you Andrew was really pleased with the turnout, the place was packed. So busy I didn't get a chance to get around the whole room to talk to people, so sorry if I missed you! Full Throttle was my favorite new game at Expo too. (and I'm probably going to get TH and TBL at some point) It totally took me by surprise. It was very fast and so much much to shoot. I love the geometry of the shots. I'm really excited about this platform now. I plan on getting FT and Alien at this point. No official price known yet of the 27 inch monitor, but the talk is around $500 - $600. Price of SE can be found on Heighway's website. Not sure if they allow a Chicago pickup, but that's where they ship them to, then local ship takes it to rest of US--no other distributors as far as I know. My guess is within next month or so the next batch will arrive but those are likely all sold to people like me. Party was great. It was PACKED. Stayed for a little bit. I'll say this, Heighway is doing it right. The company's personable nature and fun pin is really winning people over. I know Stern is the old dog, but they need to stop acting like it. There's just so much anxiety and stress all over the faces of the Stern people. Like if they make one mistake or say the wrong thing they are done. Complete opposite at Heighway. Smiles all around and everyone's approachable. Andrew and company are top notch, there is no question every table they make will be in my inventory. Fastest wide body I've ever played, and the shots are fast right back to the flippers. I think the magnet technology instead of standard micro switches has something to do with this. Great party as well, who would've thought the space was too small. Ps just got my Full Throttle set up that I bought from expo, can't wait for alien. Thank you again Heighway and all involved. Cointaker is now the official US distributor actually. Great! Was this announced anywhere or was that just now the announcement? (If so, PR might need some more budget). Party was awesome! Kept the beer and food coming far longer than I expected! A real blast of a game to play, for sure (although I played horribly)!! Nice t-shirts as well. Top notch all the way, really enjoyed myself and speaking with Andrew was great. Was announced on stage at Expo. Full Throttle was my favorite new game at Expo too. (and I'm probably going to get TH and TBL at some point) It totally took me by surprise. It was very fast and so much much to shoot. I love the geometry of the shots. I'm really excited about this platform now. Ditto! It's an underrated game. You can't go wrong with either screen size. I love their willingness to take risks for innovation. I'm definitely a fan!